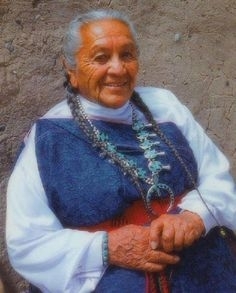 Esther Martinez, Tewa linguist and storyteller. The Northern Tiwa Picuris are a Native American people of related Tanoan pueblo peoples in New Mexico and who reside on the Picuris Pueblo and Taos Pueblo. They traditionally spoke a Tiwa language (although some speakers have switched to Spanish and/or English). They are related to the Southern Tiwa in Isleta and Sandia, around what is now Albuquerque. A large percentage of Northern Tiwa adhere to Roman Catholicism. A small percentage are evangelical Christians. Many, in practice, adhere to traditional religious beliefs and animistic practices. Pray evangelical Northern Tiwa will boldy share the message of Christ with unreached Northern Tiwa. Pray God to reveal to Northern Tiwa that following Christ brings freedom, a life free of fear and anxiety.